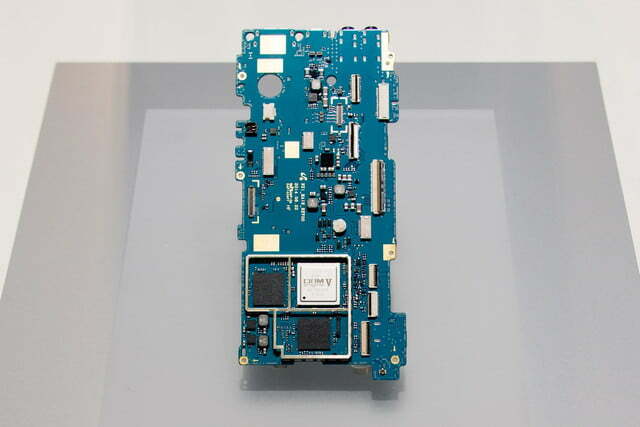 The Samsung NX1 is powered by the new DRIMe V processor. 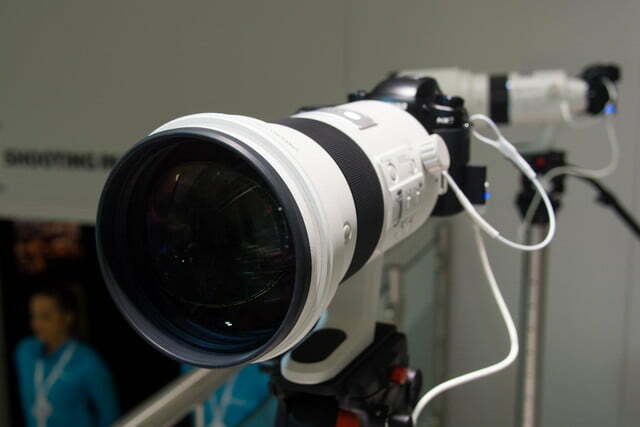 The new 300mm f/2.8 NX lens is massive. 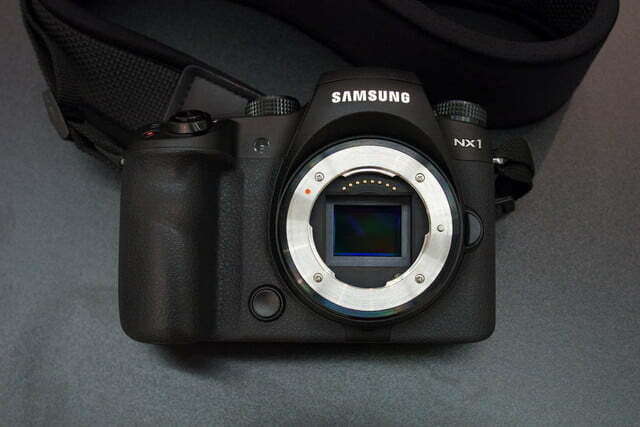 Samsung also offers a vertical grip for the NX1. 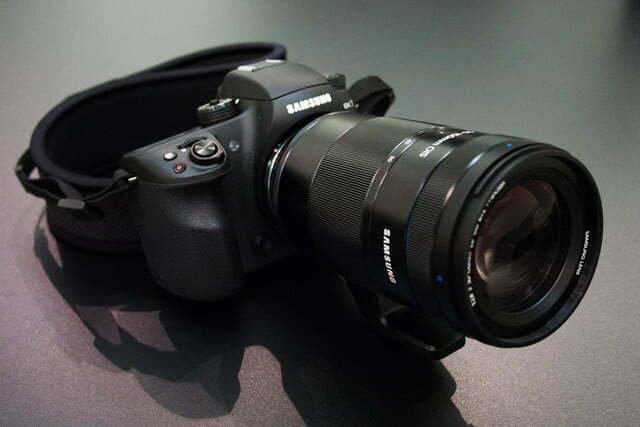 The Samsung NX1 feels nice and balanced thanks to the pronounced grip. The new 50-150mm f/2.8 is large but doesn't feel unbalanced on the NX1. The new 50-150mm f/2.8 lens comes with an AF limiter. Just ahead of Photokina, Samsung announced its new flagship mirrorless camera, the NX1 (see our original news report here). While we have already a first-look at the camera in New York City a week prior, we spent additional hands-on time with the camera at Photokina in Cologne, Germany. Our initial impression: It pretty much puts all of its mirrorless competitors to shame. So far, Samsung’s mirrorless offerings seemed focused more on the consumer crowd than professional photographers or enthusiasts. 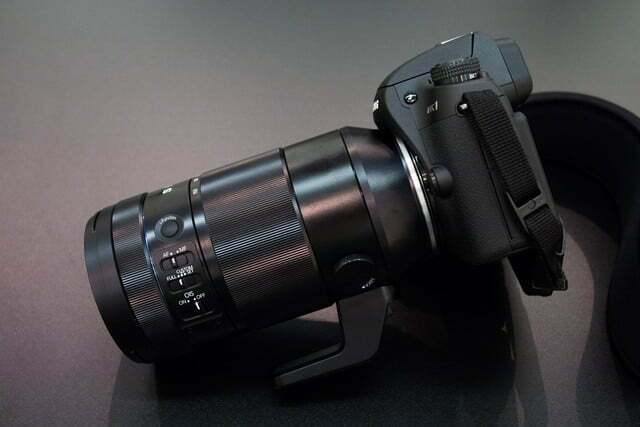 But make no mistake, the NX1 is a serious camera. So serious, in fact, that it puts all the latest technology into a body that’s hardly larger than the NX30, yet doesn’t even get close to DSLR size. We covered the basic specs of the camera in our initial announcement article, but let’s just recapitulate what makes it so great. It has the highest-resolving back-illuminated (BSI) APS-C CMOS sensor with 28 megapixels, the most advanced hybrid autofocus with 205 phase-detection points (153 of which are cross type points) covering 90 percent of the image frame, a large and detailed and virtually lag-free electronic viewfinder, a tilting 3-inch display, Wi-Fi (fast 802.11ac), Bluetooth (yes, Bluetooth, to maintain a constant connection), 4K and UHD video, and a burst shooting mode with a maximum of 15 frames per second with continuous AF. If that’s not already impressive enough, Samsung also put an LCD status display on the camera, as well as a bunch of dials and buttons to satisfy even the most demanding photographer. All of that is packed in to a relatively compact camera body that is extremely nice to hold, thanks to its large pronounced grip. The Samsung NX1’s AF tracking kept up reliably with the moving skateboarder. 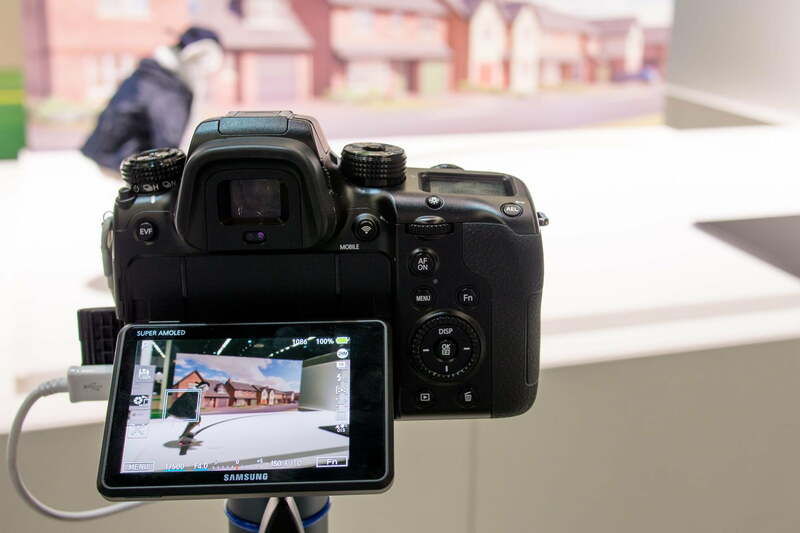 At Samsung’s Photokina booth, the company was showing off the capabilities of its new flagship mirrorless camera in a couple of different scenarios. In one area, we tested the camera’s sophisticated AF-tracking mode on a skateboarder moving forward and backward. By selecting the figure on the rear touchscreen, the AF would reliably track it throughout its (relatively quick) movement. 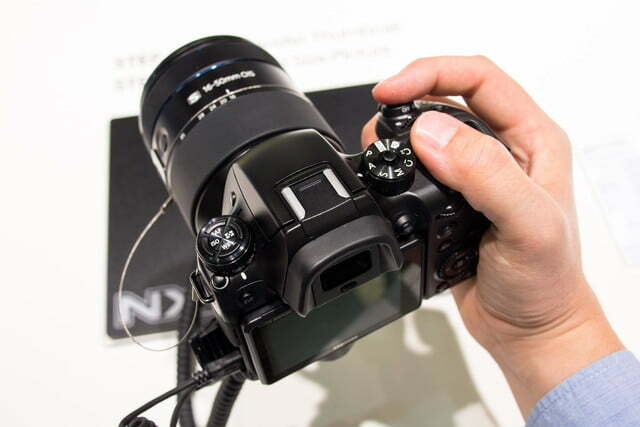 The NX1’s Auto Shot function takes a picture as soon as a moving object moves to a pre-defined position. 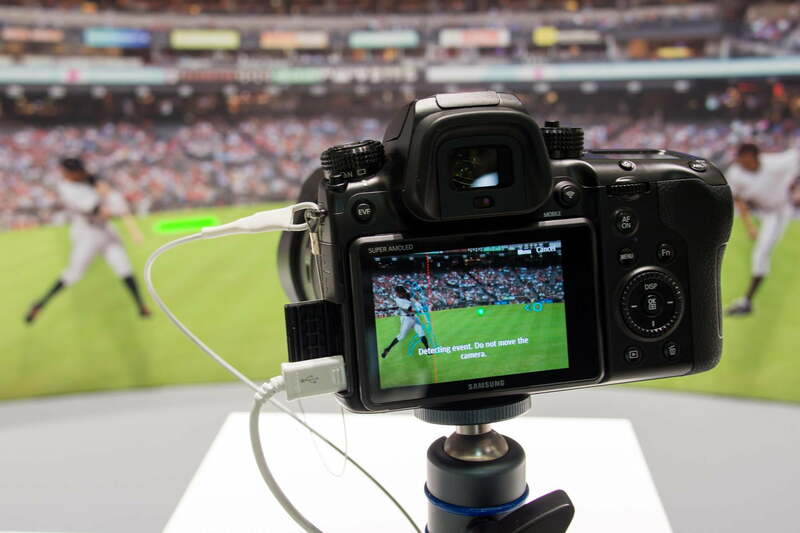 Another demonstration showed off the Auto Shot feature, with the camera set up to predict when a baseball hits a baseball bat. It in the demonstration, it did so reliably and would fire the shutter in the exact moment when the ball hit the bat. Of course, this is a very specialized scenario (and a sport that isn’t very relevant to the European markets) but it’s easy to imagine what it could be extended to – soccer would be an example. What’s also new with the NX1 is the vertical grip, something that Samsung has neglected in the past and is definitively a welcome addition for wedding photographers and the like. Besides extra buttons optimized for use in portrait orientation, the grip also has extra battery compartments to extend the NX1’s run time. The 300mm f/2.8 NX lens sports a focus limiter that is set in-camera. 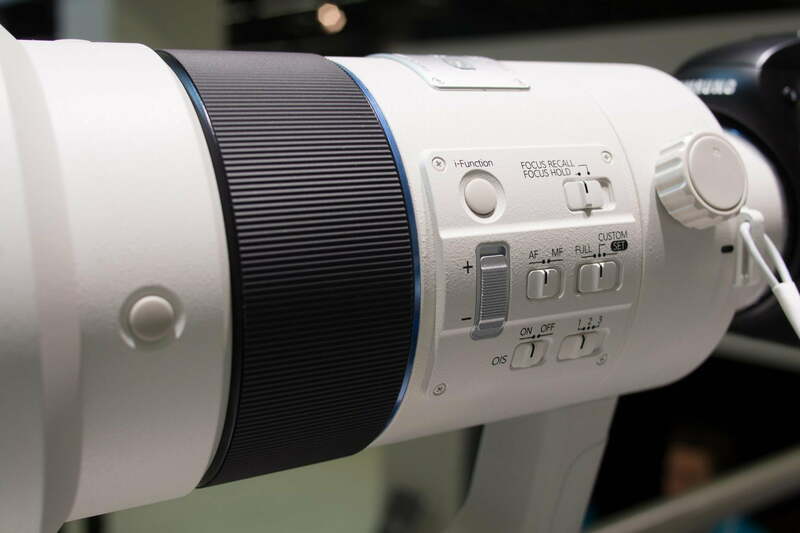 On top of the NX1 and the new 50-150mm f/2.8 lens, Samsung also showed off a new 300mm f/2.8 telephoto lens for the NX system, which is currently being developed. It’s nice to see that Samsung is putting such a huge focus on fast lenses. Besides the aperture, which is pretty wide for a lens of this focal length, the 300mm sports a focus limiter that lets you set a desired focusing range in-camera, which prevents the camera from hunting focus throughout the lens’ focusing range. The lens also has the ubiquitous i-Function button as well as optical image stabilization. While we were able to take a close look at the lens, again, it was a pre-production model so we can’t comment on its performance yet. Overall, the Samsung NX1 got us pretty excited, as it is at this point the one mirrorless camera with the overall best specifications. Now we can’t wait to get our hands on a final production model to put through its paces and see whether Samsung’s bold claims about the camera’s performance hold true. 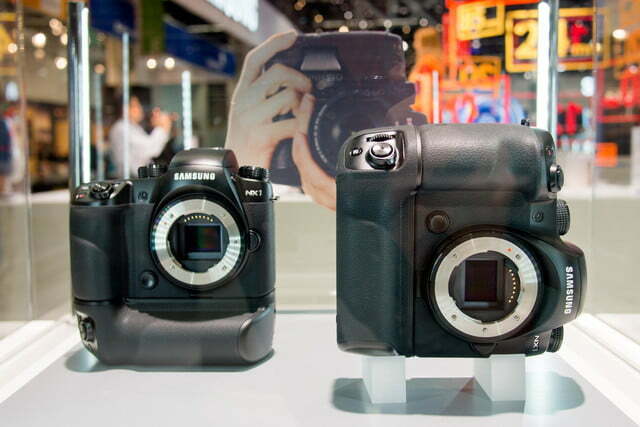 From our initial impressions at Photokina, though, we’re pretty positive that it will. Mirrorless cameras were built to be compact, so why have they gotten so heavy? Good news! There’s a new Volkswagen Polo GTI incoming! Just not to the U.S.
Mirrorless cameras have quickly become the preferred interchangeable lens camera for many photographers, both beginners and professionals. Today's models offer great performance and loads of features -- here are our favorites. Looking to snap better Instagrams? Instagram doesn't demand high-resolution files, but upgrading your camera can deliver better bokeh and low-light quality. Here our the best cameras for Instagram. Enthusiastic selfie snappers have been causing damage to fields of tulips in the Netherlands, with local growers complaining of travelers trampling over the flowers in search of the best shot. Action cameras are great tools for capturing videos of your everyday activities, whether it's a birthday party or the steepest slope you've ever descended on your snowboard. These are the best money can buy. Any camera that shoots video can be used to vlog, but a few models stand out from the crowd thanks to superior image quality, ergonomics, and usability. When it comes to putting your life on YouTube, here are the best cameras for the job. Rugged cameras are designed to withstand nature's elements. These waterproof, dustproof, and shockproof shooters can go wherever you take them, making them the perfect travel companions. For many photographers the DSLR is the go-to camera. With large selection of lenses, great low-light performance, and battery endurance, these DSLRs deliver terrific image quality for stills and videos.